We have designed this dome Mounting kit to meet specific customer requirements. 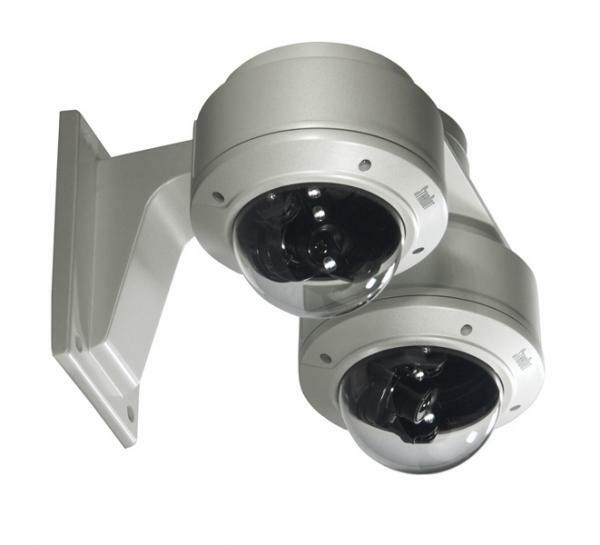 This solution provides a 180 degrees surveillance solution by doubledome installation design. One of the many advantages is the capability to reach higher frame rate per camera. This achieves its highest performance by utilizing the full image sensor and its native frame rate, rather than the conventional multiplex FPS (Frames Per Second) between each view. Additional benefits include its functional reliability. Compared to single dome enclosures, our double dome has a greater surface area, thus decreasing failure rate from overheating. The kit includes an extended connector cable for a simple connection point at the back of the vertical wall mount. Each camera is equipped with a 3.5mm lens with HFOV of 96 degrees enabling a seamless overlap.